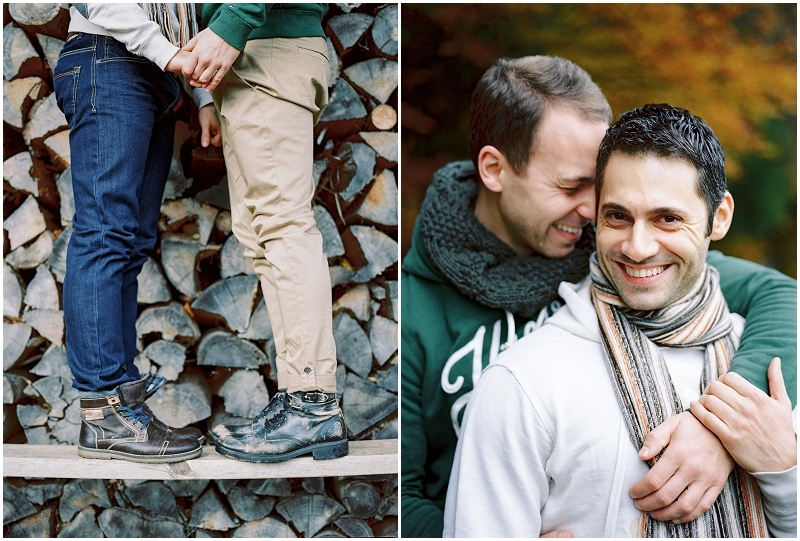 These two travelled all the way from Vienna for their engagement shoot. 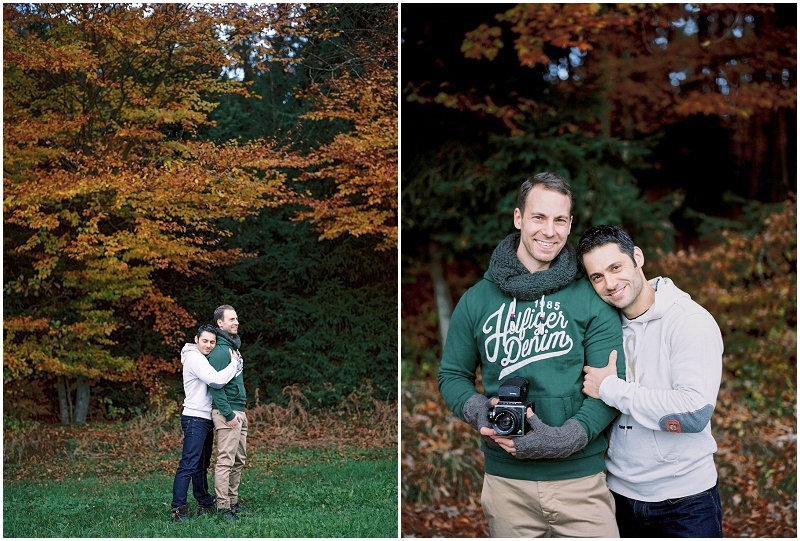 We decided on nature, forest, colourful leaves and romantic lake for the shoot. The perfect setting for two people so deeply in love. And boy did we have fun too. I wish I could be a little mouse to watch their wedding this October. It will be unique, incredibly stylish and full of emotion and wonderful people I am sure. Andreas & Adrian – it was such an honour that you chose me to capture your love. I am proud and grateful and humbled. May your love never stop growing.